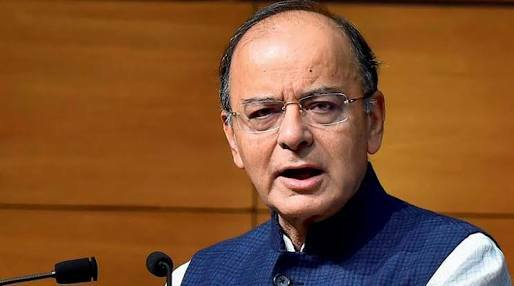 Does Union budget address contraction in informal sector, slowdown of manufacturing, farmer and lower middle class distress? The Union Budget 2018 was presented at a time when the Indian economy is facing the worst slowdown in at least half a decade. While macroeconomic shocks such as demonetization and the implementation of the goods and services tax (GST) are likely to have contributed to the slowdown, the root of the slowdown lies in the decline of investments in the country. The slowdown in investments has led to all round and widespread gloom and distress. The big question about this budget then was to see how it addresses issues arising out of this such a job contraction in the informal sector, slowdown of manufacturing, increasing farmer and lower middle class distress? In a budget you take from some and give to others. So who gives and who takes is where we should be looking. The challenge of budget making is to take enough from the nearly 15% of the population or about 200 million making up 40 million families liable for direct taxes, without dissatisfying them too much. This should provide enough to blunt the edge of popular anger of the 60% who make little more than subsistence in terms of income. This covers about 700-750 million population or 150 families. It is these people have largely been bypassed by the huge growth gains made since 1998. That means the two NDA and two UPA terms. Added to this the government has to promise delivering all this with a most expensive public administration (10.4% of GDP), and an almost defunct delivery system. A majority of government employees - over 25 million - are the bedrock of the direct taxes paying cohort. So in effect, a major part of the direct taxes are realized by the government from those who work in it. In either case, we the people pay for them. So you need to get much from others. This is where indirect taxes come in. Indirect taxes are derived from a far bigger base of population. For instance, even the lowest sections will buy match boxes from which taxes are derived. As you go up the chain of manufactured goods the incidence of indirect taxes increase. This is where you run up against powerful lobbies. For instance, the polyester yarn manufacturers will look at askance at too many reliefs and benefits given to the cotton textiles sector. Balancing the budget is the easier part. Balancing aspirations is next to impossible. Thus, budgets haven’t really changed over the decades. An analysis of budget break-ups since 1999 shows that proportions of most heads just do not change, as GDP growth and hence tax revenues usually stay nearer where they have been before. Discretionary revenue expenditure can only go up when GDP growth really perks up as we saw between 2009-2012. From then it has been downhill in terms of growth. Against this backdrop how are Modi and Jaitely faring? I must say quite heroically. Like boys on the burning deck. They are just distracting us with promises and hoping to stave off the inevitable - popular discontent. Take for instance the much-hyped National Health Protection scheme to cover 500 million people or 100 million families with medical cover of up to Rs. 5 lakhs. But what is the outlay for this? It is a measly Rs. 30,000 crores translating into a premium of about Rs.3000 per beneficiary family, whereas the prevailing premiums are at about Rs. 4400 a year. Even here the government is being disingenuous. If this were in addition to what is allocated to the Rs. 1.38 lakh crores to health, which was Rs. 1.22 lakh crores in the previous year, there would be some little cause to cheer. No, instead it comes from the health budget, which in effect means that this year less money is being spent on public healthcare. So if government hospitals and clinics have fewer doctors and lesser medicines be happy with your health insurance and go to a private nursing home or corporate hospital and see how soon the cover evaporates. In effect this is a direct benefit to private healthcare providers, and insurance companies who will get an Rs. 30,000 crores windfall. Similar sleight of hand is indulged in increasing the standard deduction to Rs. 40,000 for salaried persons. The outlay for this is Rs. 8000 crores. But the education cess goes up by 1%, which means an outgo of Rs. 11,000 crores. So who is out of pocket by Rs. 3000 crores? The government has announced that it will fund 8 crores new stove and cylinder on getting a gas connection. This is an existing scheme. But reports from gas agency dealers in several parts of the country, especially those in rural areas, have reported that an extremely low number of Ujjawala beneficiaries are returning for refills of their cylinders. Thus, the number of LPG connections may be rising rapidly, but LPG usage is not. The catch is that below poverty line families who exist on on less than Rs 32 a day in rural areas and Rs 47 a day in urban areas are simply too poor afford the market rate of LPG. There was much expectation of an agriculture-oriented budget. Nothing of that sort has been announced to suggest that. Institutional credit to the agriculture sector has gone up to Rs.11 lakh crores when it was Rs.10 lakh crores last year. The Finance Minister spoke about “revitalizing Infrastructure and Systems in Education by 2022. Technology to be the biggest driver in improving quality of education. To increase digital intensity in education, it will move infrastructure from blackboard to digital board. By 2022, every block with more than 50 per cent ST population will have Eklavya schools at par with Navodaya Vidyalayas”. Fine, but show me the money? He is clearly a man for the big picture who doesn’t get into such specifics.